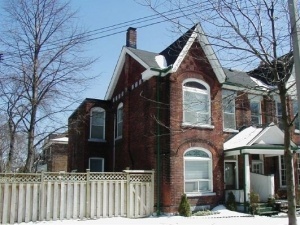 Fabulous Victorian Semi-detached with rare private drive in High Park. Bright, charming & spacious. Indian Road Crescent is in a convenient High Park location. Walk to Keele subway station. Enjoy High Park and Grenadier Pond just a few blocks away. Easy access to the Gardiner and the 401 – 15 minutes downtown or to the Airport. There is plenty of grocery shopping, restaurants and services along Bloor Street West and Dundas Street West. Wonderful child friendly neighbourhood with many good schools for all ages nearby. 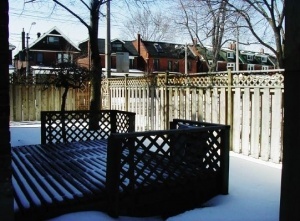 Extra wide side yard features both deck & patio areas, and includes a nice privacy fence all the way around. 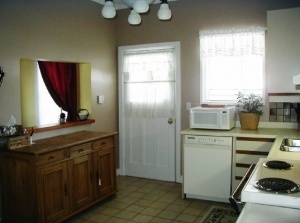 There is a single detached garage, which has been refurbished with newer doors & roof. 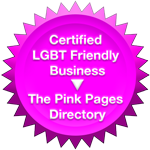 Fits one car or your gardening equipment. Private drive as well for one car. Interior is bright and charming and decorated with flare. 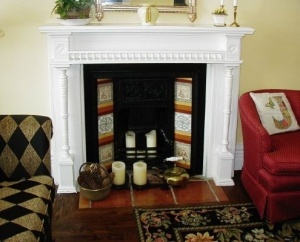 The Victorian features include the crown moulding on the extra high ceilings, the old fashioned fireplace (does not work) with decorative ceramic tiles & mantle, the stained glass over the transom, the tall windows, all make for a lovely living & entertaining space. 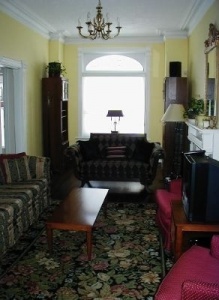 The dark oak hardwood floors featured throughout living room & dining room and front hall were replaced in 1997. 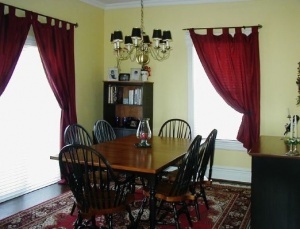 The dining room has 2 windows as well as sliding glass doors that walk-out to the wood deck. Family size updated kitchen was recently painted, includes good cupboard space, a double stainless steel sink and a pass through to the dining room. There is a walkout to rear yard through the useful mudroom recently re-shingled. 2nd floor features 3 good size bedrooms. 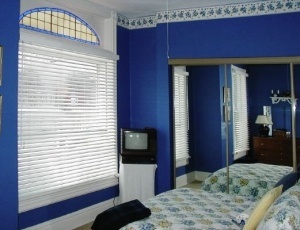 The master is very bright with 2 windows, stained glass, and a wall to wall closet. 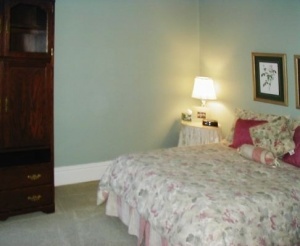 The middle bedroom features hardwood floors and the rear bedroom includes a large closet. 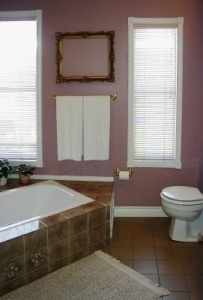 The 2nd floor bathroom is a special feature, as it has been renovated and is very large with a lovely soaker tub (with shower nozzle fixture as well). There are 2 windows. 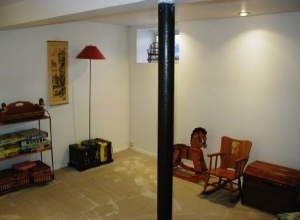 The basement has been professionally finished and is ideal for kids or guests, as there is a modern 3 piece bathroom, plus a recreation room with a double closet. A great property for just $359,000. front & north side in 2001. 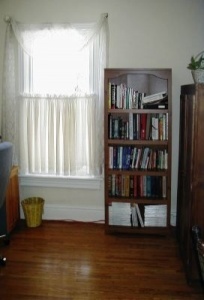 Window coverings, incl. Hunter Douglas blinds. Gas Hot Water Tank rental.